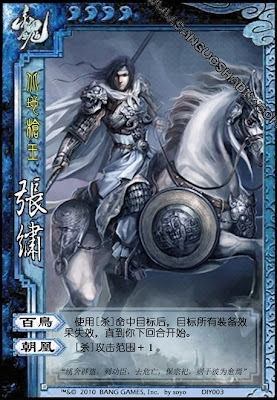 When Zhang Su's attack causes damage, the target's equipment loses all powers until the beginning of their next turn. Zhang Su's attack range is extended one. The target should show their equipment is disabled by turning it face down.